I want to start 2016 as I mean to go on (I'm jumping the gun ever so slightly, as it is still December) by spreading not only a little positivity but general appreciation for the beauty community.Yes it is a large, ever growing clan of beauty blogs and websites alike, making it both a little overwhelming and impossible to keep tabs on everyone. It goes without saying that I follow hundreds, if not thousands of beauty blogs but here is a small selection (in no particular order) I think you should bookmark and of course enjoy. 1, Xwiesx.com - Yes most of us will have to translate this blog from Dutch into English but trust me when I say it is worth the few additional loading seconds. A stunning beauty blog full of reviews, tutorials and recommendations. 2, A Little Obsessed - Having met Sabrina a few times in person, I can vouch she is as lovely in the flesh as her chatty online presence. A great, honest blog that features plenty of beauty reviews, product recommendations and the odd style post too. 3, Will Work for Make Up - We all have the one beauty blog that we know that clicking open will result in a product wish list as long as our arm. For me this is Will Work for Make Up, a wonderfully written, never review skimpy, beauty blog that I can happily spend hours on. 4, Bubbly Michelle - I adore Michelle, she truly is a wonderful and ever-so-thoughtful human being, it just so happens she also has an utterly fabulous beauty blog too. Think super helpful beauty reviews, great skin care recommendations and some of the best product photography I have ever seen. You need to hit subscribe! 5, Eiphanniea - Beauty reviews are great but sometimes all a person wants is a good swatch or two. Making life a whole lot easier is the Swatch Gallery: 11 real people and skin tones, all of which display several products and shades - you can't afford to go make up shopping without consulting the gallery. Genius! 6, Laurzrah - If there is a beauty product worth owning, Laura has it and will most likely have shared a wonderful and truthful review about it. Perfect - not to mention she has impeccable taste and is quite the red lip connoisseur. 7, theNotice - Utterly dreamy photography, to-the-point yet eloquently written reviews and as the author lives in Canada, there is product recommendations that I wouldn't necessarily find elsewhere. 8, The Waunderlust Project - I've only recently dipped my toe into the Korean Beauty scene and as such, only began reading beauty blogs suited to such cosmetic branch. A new addition to my reading list is The Waunderlust Project: a blunt yet funny and well written blog, that offers insightful skin care and make up musings - I can not recommend hitting subscribe enough. 9, Memorable Days - Another wonderful blog I have found due to my recent Korean beauty Google searches is Memorable Days. Beautiful photography, brilliantly insightful reviews and the odd lifestyle/fashion post - pour yourself a mug of tea and enjoy! 10, Jasmine Talks Beauty - Not only is this a brilliant pit stop for all things beauty with reviews and original features, broken up with little snippets of her life; Jasmine also takes the most beautiful photographs too. 11, Classic Rouge - Forever enabling me with her impeccable taste in make-up is Zoe with her beautiful blog. Again Zoe offers brilliant reviews, product recommendations, lifestyle posts, all coupled with pretty photography - a must read. 12, Jessica Beautician - a girl after my heart, every product recommendation is faultless and if you happen to Vegan, Jessica is never short of a scrumptious recipe nor cruelty free beauty product suggestion. 13, Cult of Pretty - Perfectly summed up by the sites blurb - "The best beauty products you've never heard of". This is not your typical beauty fodder, interesting, exciting and completely addictive, one of my favourite sites ever. 14, Organic Beauty Blog - If natural beauty is your calling this is the blog you have been waiting for: tonnes of reviews and products recommendations, not to mention general beauty education - there is something for everyone. 15, The Girl in the Tartan Scarf - As a fellow, straight-talking Glaswegian I know Chantelle's beauty recommendations will always live up to the hype. She also makes the most wonderful, beauty tutorials on YouTube. 16, Lion in the Wild - I'm a curious person and really enjoy reading international beauty blogs, one of my utter favourites has to be Lion in the Wild. This beauty blog features great product run downs, must try combinations as well as the odd, nod to Australian beauty brands. 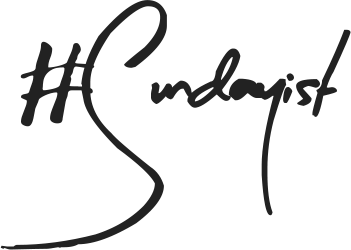 I hope you find a few new reads suited to your beauty preferences, I'd also love if you could leave a link in the comment section to a beauty blog that you have been enjoying recently - spread the beauty blogging love. You can also read my "15 Beauty Must Reads of 2015" here. I'll have to check these out. I just love a good read and need to find some more. I love reading new blogs! If you're in the US, budgetbeautyblog always has the latest inexpensive beauty! Thank you I will Google that blog now! Yay :) glad to help! Thanks for the recommendations! Will be sure to check them out! :) X.
I can't wait to read some of these! oh no... like I needed MORE excuses to procrastinate! All my pleasure, once you find your feet I'm sure it will all fall into place. My first year of blogging was testing to say the least haha! Such a great list - found some new ones :D Have a great New Year!! Oh wow, thank you so very much for featuring Lion in the Wild among such incredible blogs and bloggers! 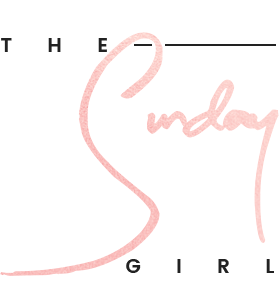 I've adored The Sunday Girl for so long now, so it's such an honour to know that you've been visiting my little corner of the Internet. I hope you've had the most lovely Christmas and New Years! Wishing you the best 2016. I can't wait to see what you have lineup. Also thank you for all those amazing recommendations! So many new blogs to read! LOVE! Hi Rae, no problem at all - I love your blog and hope others do too! Thank you so much but my photos aren't nearly as pretty as yours ;)!